I’d originally set out to write a post about our experience with adoption…the factual part. It’s something I’m asked about almost weekly. Either someone is interested in our personal experience, or he/she or a loved one is considering adoption and is curious about our experience. As I started to mull over in my head what I wanted to achieve in my post, I kept coming back to a different subject, the topics of free will…and luck. While I hear questions about the adoption process often, what I hear more is the comment, “He is such a lucky little boy.” If you’ve said this to me, I’m not offended by it. I take it as a compliment you believe a child would be lucky to have me as a mother. However, what it implies…that adoption is some form of one-sided rescue. Well, I just don’t agree. In my opinion, the most amazing gift God bestowed upon us during creation was the incomprehensible endowment of free will. I use the word incomprehensible because, as a parent, I cannot imagine giving this gift to my own children in the same way. God gives us guidance, certainly, but it is in a quiet voice that we hear in the still quiet moments of life…and then…he allows us to choose. CHOICE. He allows it ALL to happen. Can you imagine? Can you comprehend raising a child in this way…imparting your guidance quietly and then stepping back and allowing your child to choose what comes next without nary a condescending nod of either approval or disapproval. I can tell you, I’m WAY too much of a control freak to parent this way. Yet, I have indescribable gratitude for the gift. Exercising free will is a freedom, above all others, I pray I never lose. 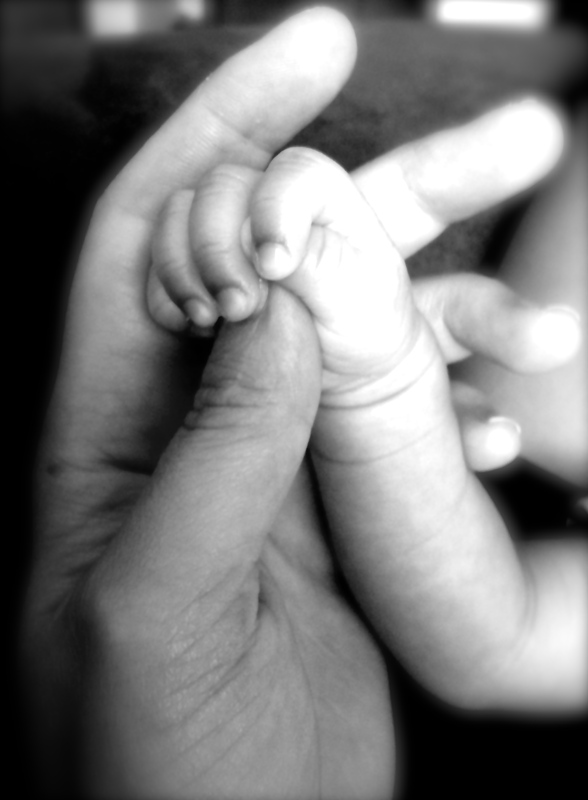 Becoming a parent is for some…a consequence of free will, and for others…it is an exercise of free will. Parents who choose adoption are exercising free will. There is no, “Oops, we got tipsy and look-ie here…we adopted!”. The adoption process is long. It is tedious and meticulous. It makes you painfully vulnerable, both to the inspection and judgment of others, and to the emotional upheaval of the process. This is not to say the process of having biological children does not make you vulnerable, it does. My point is simply, in my experience, the VAST majority of adoptive parents have contemplated the choice of adoption thoroughly. It is something they desperately desire…not because they are compelled to be hailed “a rescuer”…but for the exact opposite reason. They HAVE WANT of a child. They are SEEKING OUT a blessing. Free will only goes so far when it comes to choosing to have children…biological or adopted. You can decide you want it, you can do the appropriate “things” to increase your chances, and you can exercise your free will. Then…you wait. It might be you wait to see the double pink line on the pee stick and then delivery, or it might be you wait for the phone call confirming you have a match and then finalization. Either way, it’s in God’s hands at that “waiting” point. So, you see…there is no rescuing going on in either of these situations…at least, not from the perspective of the hopeful parent. I’d be lying if I pretend the circumstances of life my son would’ve most likely dealt with had his biological mother not made the choice of adoption (exercising her free will), are equitable to the likely circumstances that will comprise his reality now. I have the facts to know, without question, he would’ve had to deal with homelessness, possible hunger, and far fewer opportunities than he will likely have now. But to say that I (we) rescued him is inaccurate. He is his own unique and beautiful person completely outside of any family, community, or circumstance. Who is to say what his life would have been like had free will been exercised in any number of different ways? The potential for one life is immeasurable, and circumstances, while they may limit opportunity, do not limit potential. What is in store for a life? Only God knows. What do I know? I know I feel compelled to thank God for all my children, and for the blessing each of them is to me and to the world at large. I know free will is a gift, and I know I don’t deserve it. I know I have far more questions than I have answers, and I know love wins. So, If you have questions about adoption, I’m happy to tell you about my experience. But, I’ll tell you, I don’t think luck has had anything to do with it. Well said and as a mother of someone adopted from a 3rd world country I can’t tell you how often I hear, “what a lucky little girls she is.” Brian and I always point out that we are the “lucky ones.” And unlike you I do get a little offended. My daughter is from a beautiful country that she needs to feel proud of, not rescued from. It drives me crazy when people assume her life will be better here simply by virtue of the fact that it is America. The simple fact is she needed parents and we longed for a child. Hopefully, if anything, it is our bond as a loving family that will make her life better than it might have been. Phew…I’ll get off my soap box now. I know people mean well with the “lucky” comments, but I doubt they typically realize how loaded it is.